Reading Journals are another one of my most favourite and essential tools for Yrs 3-6 readers. Reading Journal Prompts are like triggers to open the readers’ minds. So there we have it. Reading Journals are the powerhouses of thinking, understanding, comprehension. A good Reading Journal Prompt will allow every reader, with the very book they are reading, to explore the world of their book in powerful and meaningful ways. 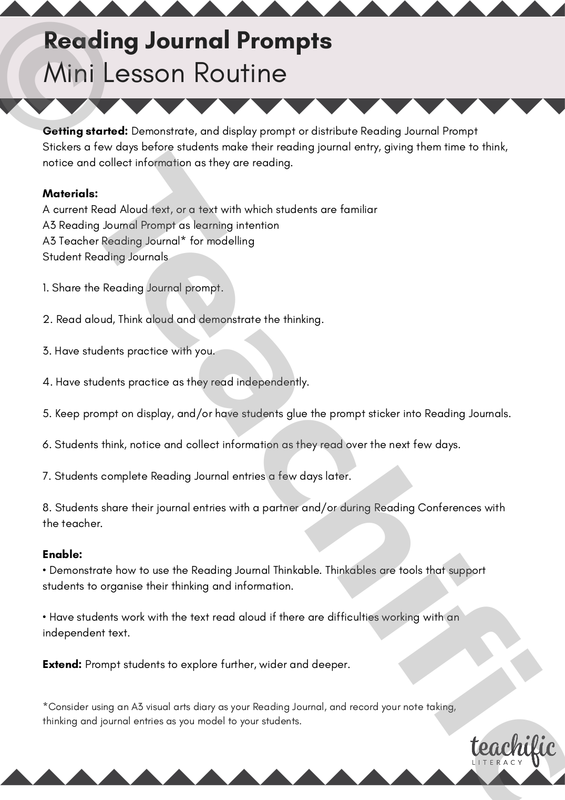 Introduce students to the Reading Journal prompt early in the week. 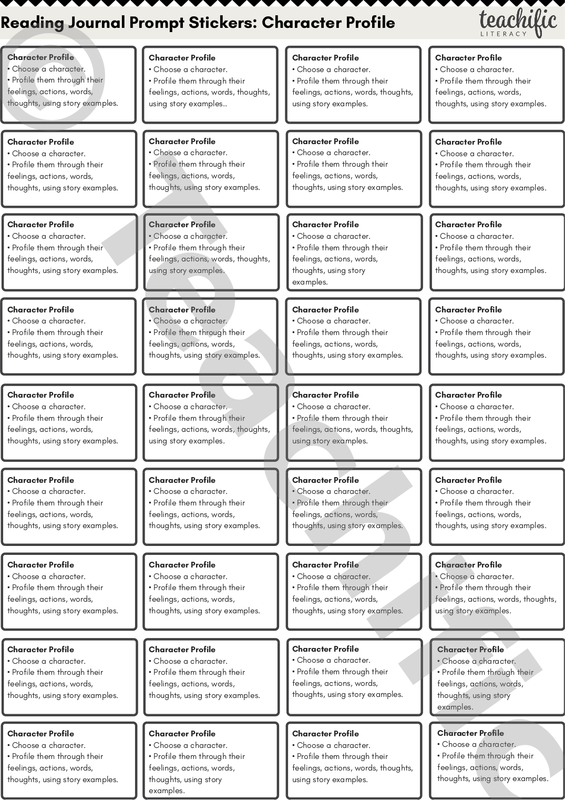 Students read, maybe jot notes on a stickynote or bookmark, or include the prompt on their reading log so they can jot notes there. At the end of the week, students have a dedicated time to present their thinking in their Reading Journal. This is a place for thinking as it comes, no need for drafting for good copies. First draft it is. PLEASE! Date, Book Title, Author for every response. Reading Journal responses are not only for ‘when I’ve finished a book’. They are the thinking and journeying and journaling done as the book is also in progress. After all, that’s where the thinking and comprehension happens. Some entries can be made after finishing a book too, but there should be a mix. Sometimes it’s powerful to use the Reading Journal response in relation to the class book being read aloud. Read, think, talk, as a community, and have students respond individually. Why not have your own enlarged Reading Journal book. (I like to use an A3 visual arts diary.) 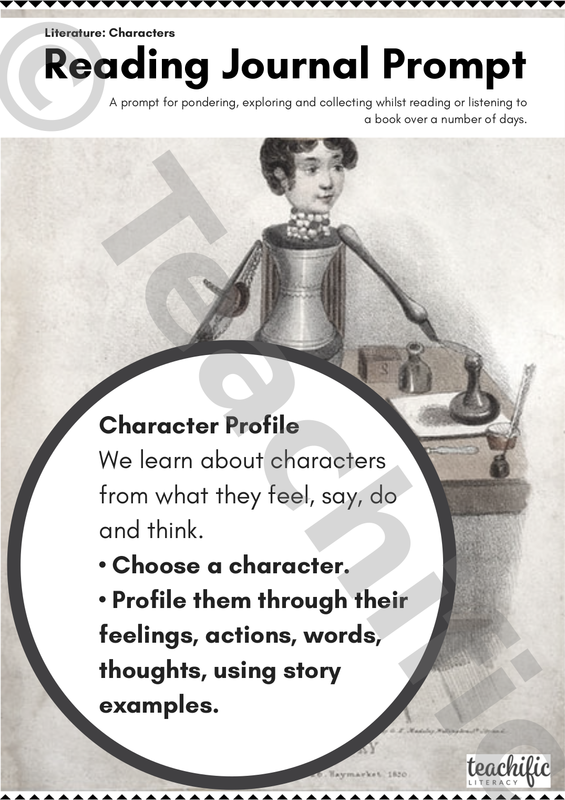 This is a great place to model what Reading Journal responses can look like. In K-2, this is especially valuable. ACELT1609: Present a point of view about particular literary texts using appropriate metalanguage, and reflecting on the viewpoints of others. ACELT1614: Analyse and evaluate similarities and differences in texts on similar topics, themes or plots.